Free trade isn’t always "free," at least when it comes to how it impacts specific industries. 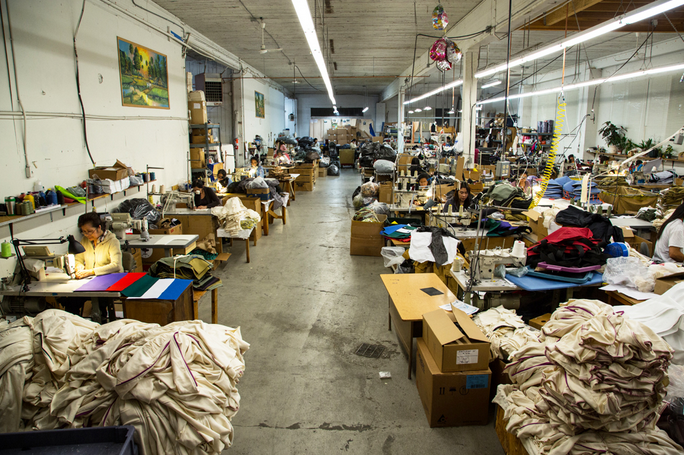 In the wake of the latest big U.S. trade deal, expect changes in the apparel industry. Despite fierce opposition in Congress and by the leading Presidential candidates, the Trans Pacific Partnership (TPP) deal, is likely to pass. That’s according to Brown political scientist Wendy Schiller, who says that Republican majorities in both the House and Senate need to show they can govern during this election year. Moreover, Schiller says that this is a deal that most Republicans support from both an ideological and business standpoint. TPP is supposed to create more open markets, lowering costs for manufacturers and ultimately for consumers. Opponents say that it gives companies manufacturing in foreign countries a competitive advantage. The deal’s impact on the apparel industry is likely to be significant. Some of it will be beneficial and some not so much. That will depend on where companies are currently manufacturing and selling their goods. What’s certain is that the apparel industry will be more competitive. TPP will lower trade barriers for all the countries involved — the U.S., Australia, Brunei Darussalam, Canada, Chile, Japan, Malaysia, Mexico, New Zealand, Peru, Singapore and Vietnam. Many brands have shifted or will be moving some manufacturing to the U.S. to increase production and logistical efficiency, and to lower costs. Under Armour recently announced plans to increase stateside manufacturing efforts. During a recent industry trade show, Under Armour VP of Material Process and Color Innovation, Keith Hoover said, "we want to be able to design and produce close to the market both in time and proximity... it may have patriotic elements to it but first and foremost it’s a business story. "Local-for-local manufacturing drives growth with better products and a more efficient supply chain," said Hoover. VF Corporation’s The North Face announced the expansion of its Backyard Project, a line of clothing made exclusively in the U.S. The North Face and Under Armour’s moves dovetail with a growing trend toward fast fashion. Fast fashion describes a shorter cycle time between when brands first showcase their designs and when they appear in stores. Until recently, clothes produced in one season didn’t appear until roughly six months later. TPP could disrupt the fast fashion momentum and a fledgling made-in-America clothing rebound by renewing the attractiveness of offshore manufacturing via lower tariffs. Brands like Under Armour or The North Face could ship U.S. materials to overseas manufacturing plants, import the products back to the U.S. at a low rate and sell at U.S. price points. This protects domestic profit margins, assuming the brand has streamlined global supply chain operations in existing plants across the countries involved in the agreement. Premium brands made exclusively in the U.S. could benefit from the TPP if they’re looking to increase global sales. Because of the lower tariffs, brands could ship items to shoppers in emerging markets like Mexico and Vietnam at lower cost. TPP’s passage would cause shifts in apparel manufacturing and supply chains. Brands who are nimble enough and have been careful about investing in infrastructure will be best positioned to cut costs and expand into global markets.